We R Memory Keepers-Banner Punch Board. Create pennant, flag and crest banners in various sizes for your parties, home decor and more! 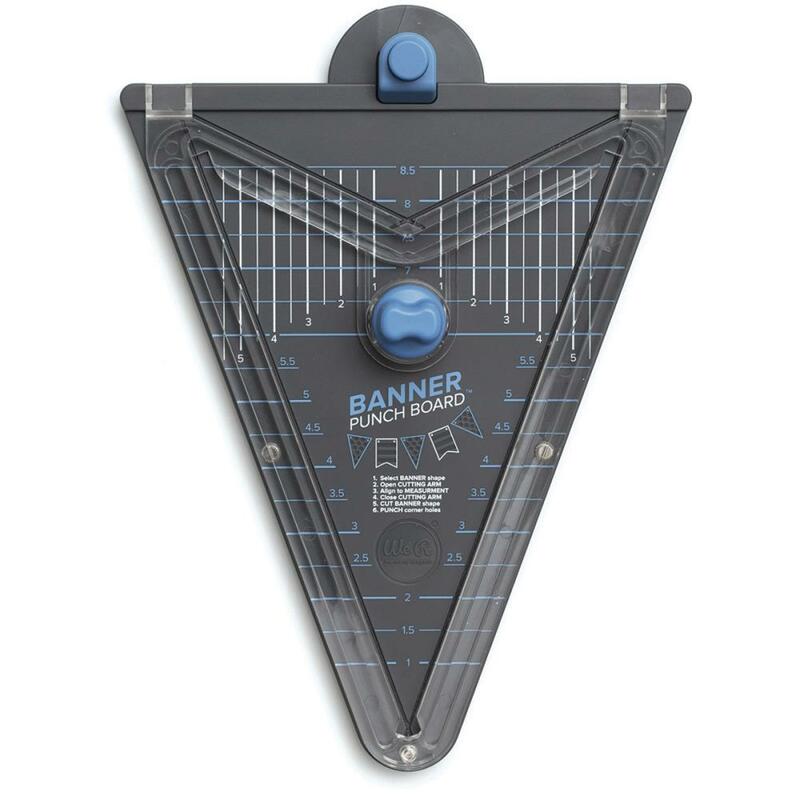 Create banners measuring between 1 inch and 8-1/2 inches. 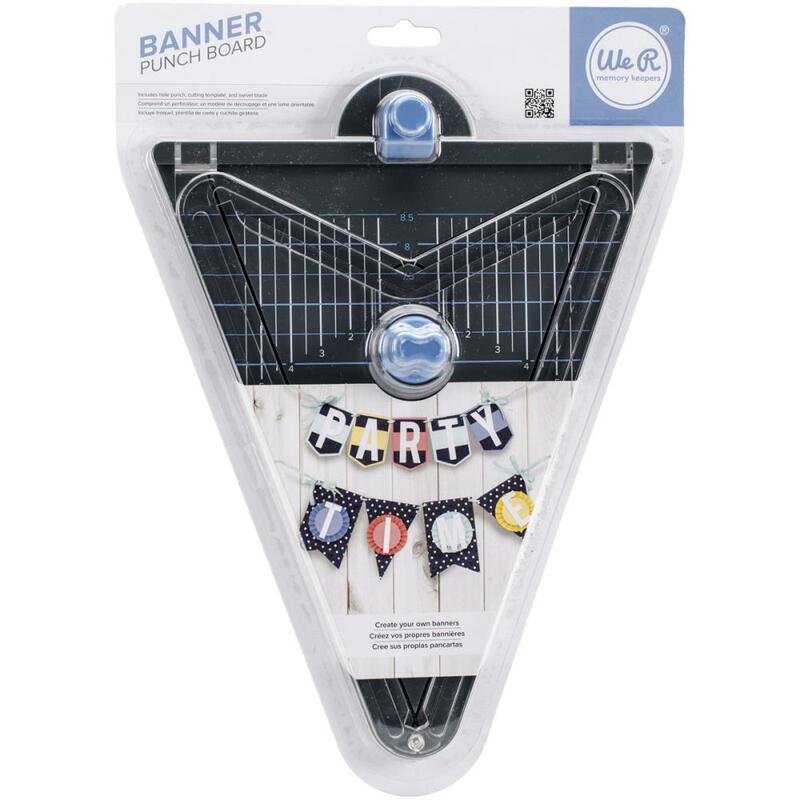 This package contains one 11-1/2x8-1/2x3/4 inch Banner Punch Board that features a cutting template, a hole punch and one swivel blade for cutting most papers.